After the great success of the TV and digital broadcast of the first two 2019 Showcase matches, Global Rapid Rugby is delighted to announce that a further seven games will be available to rugby, sports and entertainment fans around the world. Free to air and subscription television along with online and on-demand products will deliver our innovative and exciting broadcast coverage of an equally bold and inventive brand of elite level sport from venues in Hong Kong, Singapore, Fiji, Auckland and Brisbane, plus a further two games in Perth. – In Australia, national broadcaster SBS will offer seven more matches live and free right around the country on the Viceland Channel, the SBS On Demand app and online via sbs.com.au. Plus, Australia’s one-stop TV sporting shop, Fox Sports, will broadcast matches live and offer anytime viewing on the popular new Kayo streaming service. – In Asia and the Pacific, the seven games will be broadcast live through Fox Sports Asia and Star Sports and its multitude of local channels that include coverage into China, Hong Kong, Indonesia Macau, Malaysia, Philippines, Singapore, South Korea, Thailand, Vietnam, Fiji, Nauru, Solomon Islands, Tonga, Vanuatu, and Western Samoa. 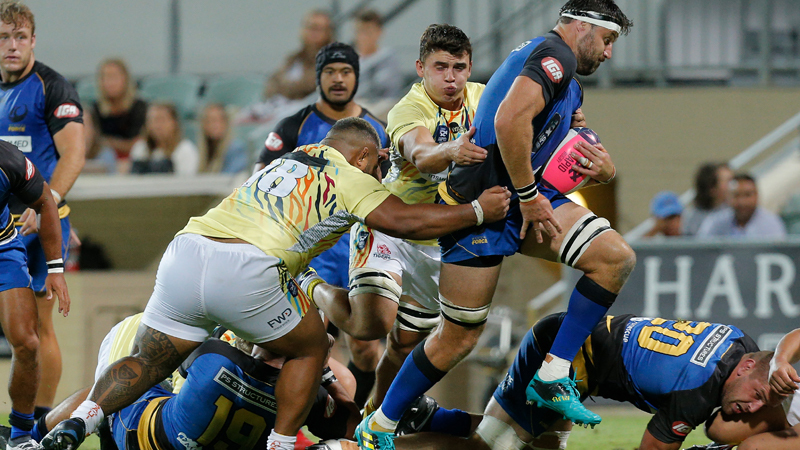 To launch the 2019 Global Rapid Rugby Showcase Australia’s Western Force played home games in Perth against the World XV and the South China Tigers. As an example of the brand’s appeal, SBS recorded an average viewing audience of 64,000. The next match for broadcast is the first played in Asia, between the South China Tigers and Asia Pacific Dragons, from Hong Kong. Global Rapid Rugby is designed to provide a faster, more free scoring and entertaining style of play than traditional rugby and includes 70-minute matches, 9 point Power Tries, rolling substitutions, incentives for high Scoring and risk-taking play, restrictions around defensive kicking and an overall increase in ball-in-play time. In 2019, Rapid Rugby features the South China Tigers, Asia Pacific Dragons, Fijian Latui, Kagifa Samoa and Western Force playing in a 14 game Showcase Series in Hong Kong, Singapore, Fiji, Auckland, Brisbane and Perth. The inaugural Global Rapid Rugby home-and-away season, featuring eight teams throughout the Asia Pacific, will be played in 2020.